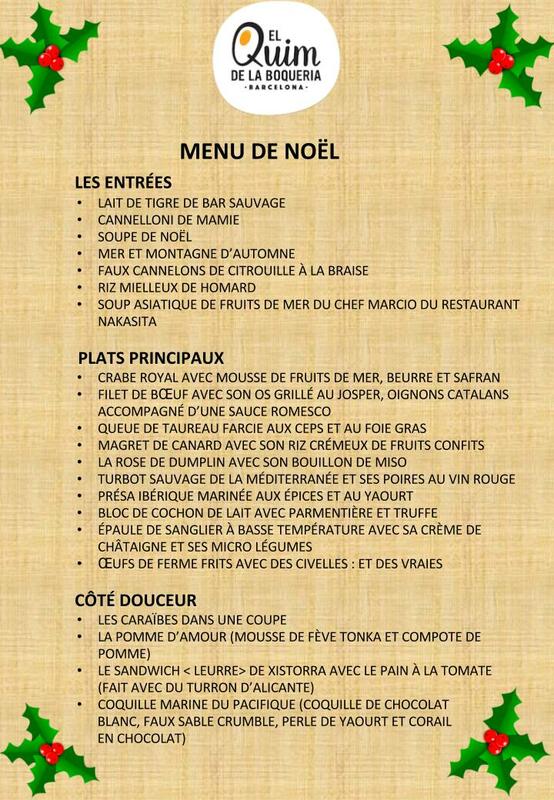 This is our Christmas Menú for 2017 where you can choose a starter, a main course and a dessert. As usual, I’ve combined our tradictional dishes with fusion gastronomy from other cultures, so as that you can choose whatever you like. 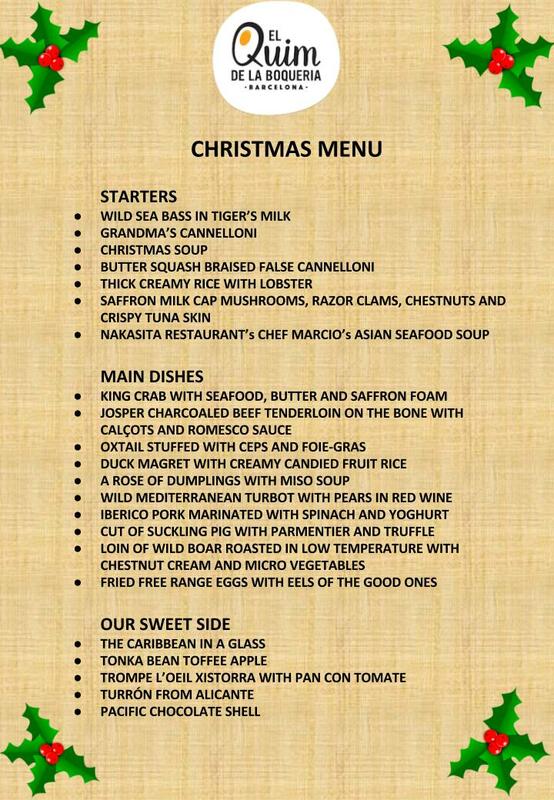 We serve them directly at our bar or you can take-away home and enjoy this Christmas without cooking.